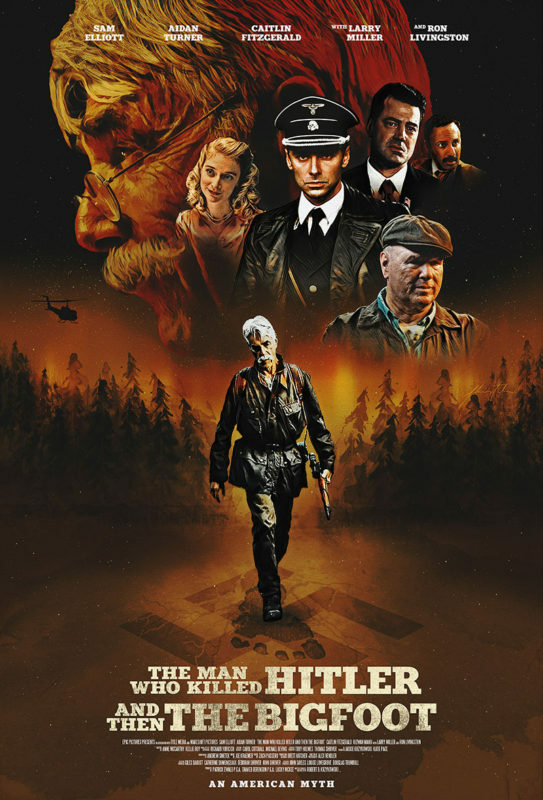 The much-anticipated theatrical release for THE MAN WHO KILLED HITLER AND THEN THE BIGFOOT is happening on February 8th. and at the same time, the film is being released to VOD services. Shot in western Massachusetts in and around Turner Falls, the home of director Robert Krzykowski, the film is a character study with some pulp genre elements in the vein of a Hal Ashby or Robert Altman. It also features incredible talent in all aspects of the production, including Executive Producer Douglas Trumbull, Music Composer Joe Kraemer and special effects guru Richard Yuricich. 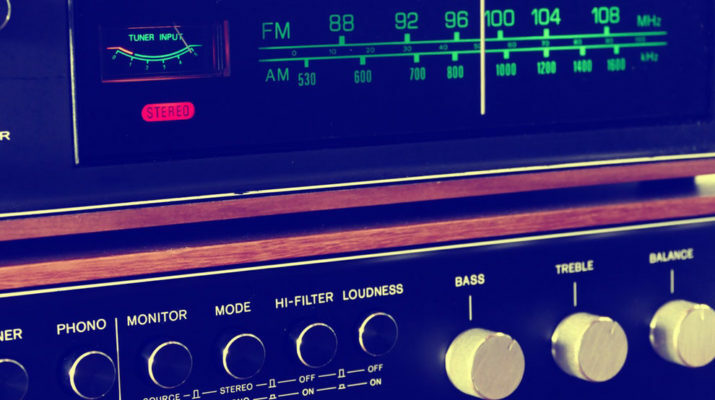 Click here to listen to Hartley Pleshaw’s radio interview with Robert Krzykowski and Joe Kraemer. 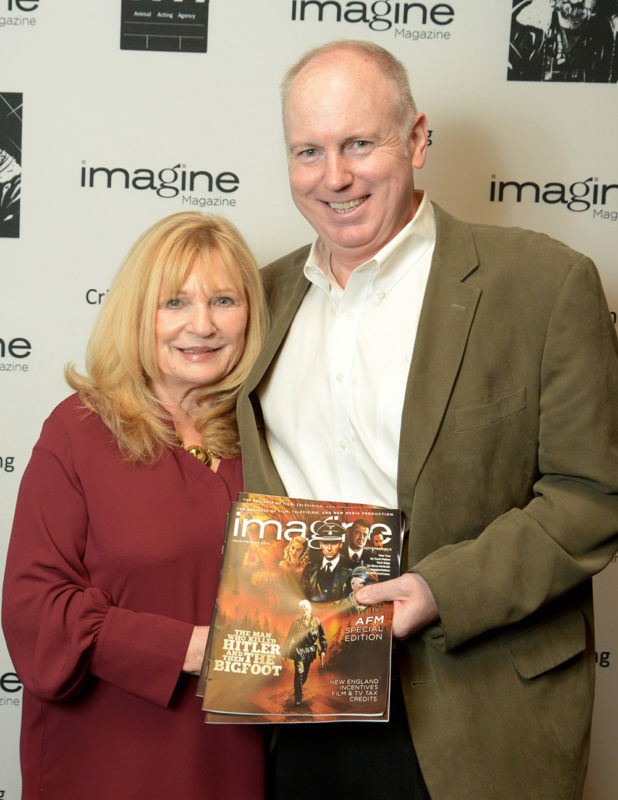 Below are some photos from IMAGINE’s exclusive New England premiere screening which was held on November 15th, 2018 and featured appearances by director, Robert D. Krzykowski, Douglas Trumbull (2001: A SPACE ODYSSEY, BLADERUNNER), Visual Effects Supervisor Richard Yuricich (STAR TREK: THE MOTION PICTURE, BLADE RUNNER) and Composer Joe Kraemer (MISSION IMPOSSIBLE: ROGUE NATION) as well as Silas Archer Gustav who plays the young Calvin Barr’s dog in the film. 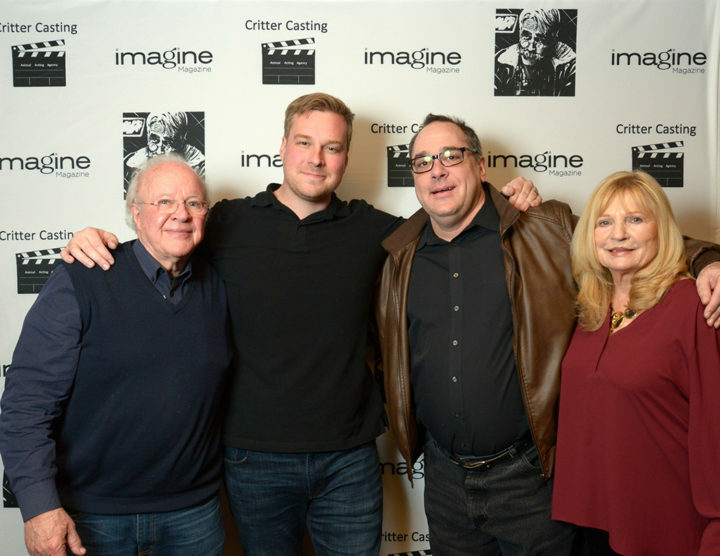 Executive Producer, Academy Award winner and Imaginnaire Douglas Trumbull , Director Robert D. Kryzkowski, Composer Joe Kraemer and Carol Patton. Photo by Carolyn Ross — at Somerville Theatre. Jan Waldman, Carol Patton and Silas Archer Gustav, who appears in the film. Photo by Carolyn Ross — at Somerville Theatre. 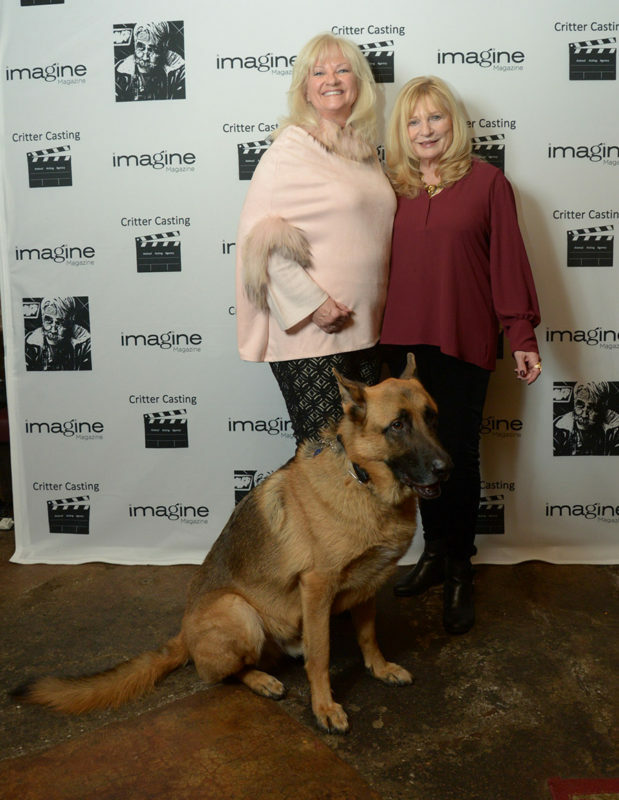 Exciting Night at the Saloon for IMAGINE Magazine and Critter Casting’s VIP Party before the screening of THE MAN WHO KILLED HITLER AND THEN THE BIGFOOT held at the Somerville Theatre. 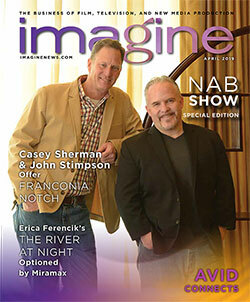 An IMAGINE Photo. 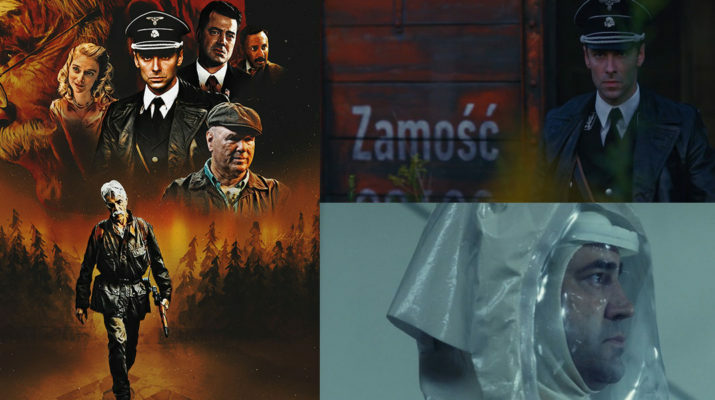 Frequent IMAGINE contributor Hartley Pleshaw recently interviewed THE MAN WHO KILLED HITLER AND THEN THE BIGFOOT’s director Robert D. Krzykowski and the film’s composer Joe Kraemer about their ties to the New England area and how their film came to be. Over the nearly hour-long conversation originally broadcast on WCAP Radio 980, they discuss the mood of the film which director Krzykowski says is more Robert Altman than Troma Entertainment (though not without some pulp elements). The title drove the concept of the film towards its eventual plot and the story of that journey is fascinating to hear. 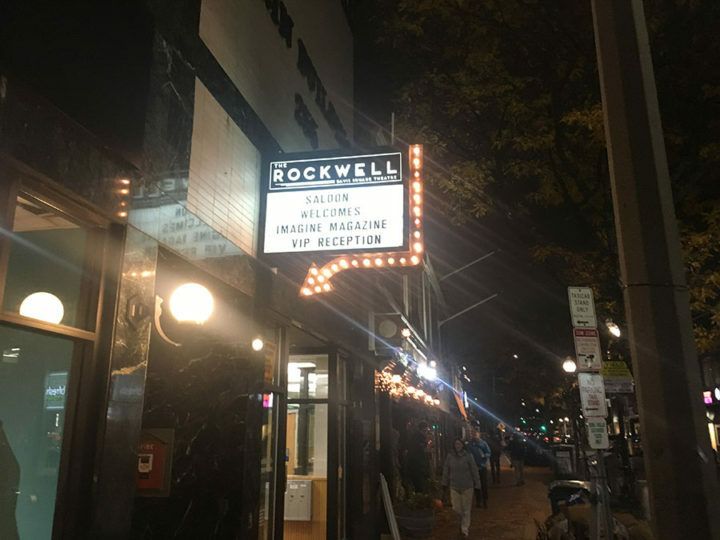 There’s a special guest call-in from our publisher, Carol Patton who gives an impromptu promo for the screening and VIP pre-screening party. There’s also a concise history of the Massachusetts Film Tax Credit! Kraemer and Krzykowski bonded over their shared love of orchestral soundtracks from the 80s and 70s and Joe provides some great insight into the film composer’s creative process. Joe discusses how the soundtrack for THE MAN WHO KILLED HITLER AND THEN THE BIGFOOT came into being through many artistic paths. Robert Krzykowski then goes on to tell the story of how the film’s epic production team (John Sayles, Douglas Trumbull and Richard Yuricich to name a few) coalesced around their love of Robert’s cult comic strip Elsie Hooper. It’s a fascinating story in and of itself how some of the best independent filmmakers of today brought their talents together to create a story of true American grit with pulp fiction elements. Definitely a fun and fascinating listen! And don’t forget to get your tickets for the screening happening on November 15th! We have an extraordinary cover for this issue. You will also see that it relates to our back page and our cover story. 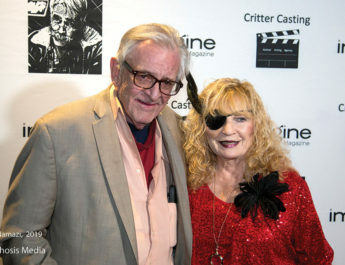 Hartley Pleshaw interviewed both the star and director of THE MAN WHO SHOT HITLER AND THEN THE BIGFOOT. We’re excited about this film because IMAGINE will present a special East Coast Premiere at the Somerville Theatre in Davis Square on November 15th and much of the crew will be special guests. The screening will be at 8 pm. Those tickets are $15 each and will include a lively Q& A afterwards with the Director Robert D. Kryzkowski, Academy Award winning “Imaginnaire” Executive Producer Douglas Trumbull (2001: A SPACE ODYSSEY, BLADE RUNNER, A CLOSE ENCOUNTER OF A THIRD KIND), Composer Joe Kraemer (MISSION IMPOSSIBLE: ROGUE NATION) and special effects guru Richard Yuricich. There will be a preliminary VIP Reception at 6:30 with the cast and crew members that are available for the evening. 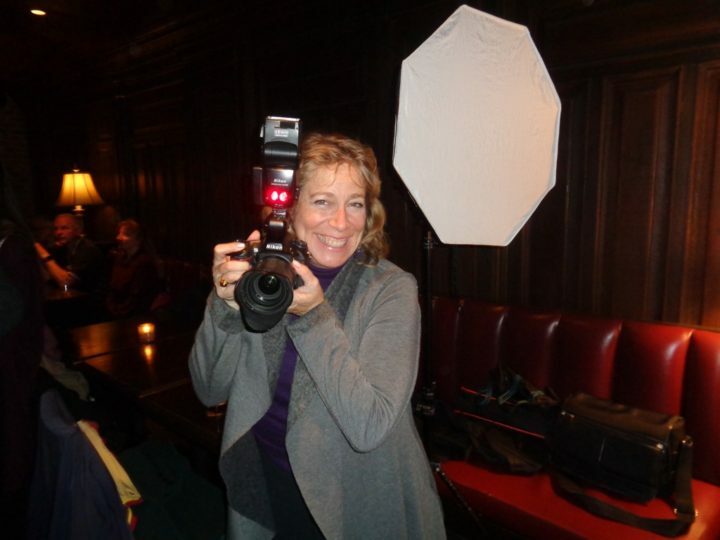 We will be taking photographs and our co-hosts Jan and Mikhaila Waldman will be with us along with their canine actor Silas Archer Gustav for photo taking and such. Silas plays the role of the young (played by Aidan Turner) Calvin Barr’s dog. 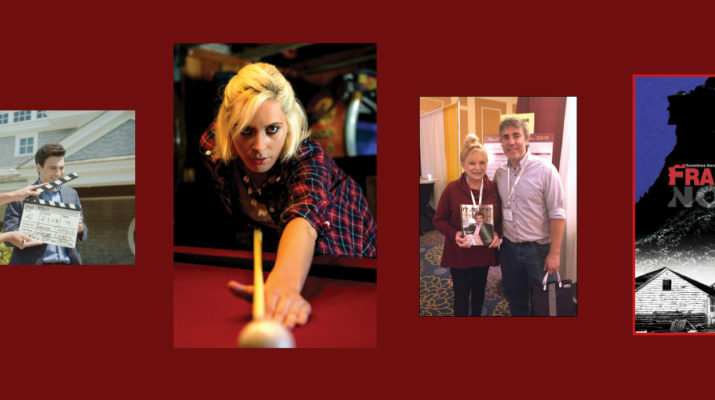 The cost is $75 for the reception and the opportunity to meet the aforementioned stellar filmmakers. THE MAN WHO KILLED HITLER AND THEN THE BIGFOOT has sold out at every venue it’s been screened including Montreal, London, Strasbourg, and Barcelona. And we hope to fill the Somerville Theatre to the brim. Buy your tickets now on our info page because this will sell out here. You can’t tell a book by its cover, and, in that same spirit, it’s probably unwise to make assumptions about a film by its title. A case in point would appear to be the new film THE MAN WHO KILLED HITLER AND THEN THE BIGFOOT. For most people, a cursory glance at that title would lead to assumptions that the attendant offering would be an exploitation film, a likely product of a cinematic schlock house. But looks can be deceiving. And to make any assumptions about this particular film based on its title would be a grave self-deception indeed. The film is in fact a deep character study, accompanied by frightening and alarmingly relevant metaphors. It is indeed a horror film, but as much about the horror within as without. Two of the people who created it explain what THE MAN WHO KILLED HITLER AND THEN THE BIGFOOT is about. This may be his first film as a director. But Robert Krzykowski came to the project—an original idea of his—with an enormous portfolio of experience. Robert was born in Albany, NY, but has spent most of his life (excepting periods in Hollywood as a screenwriter) in western Massachusetts, where he still lives. 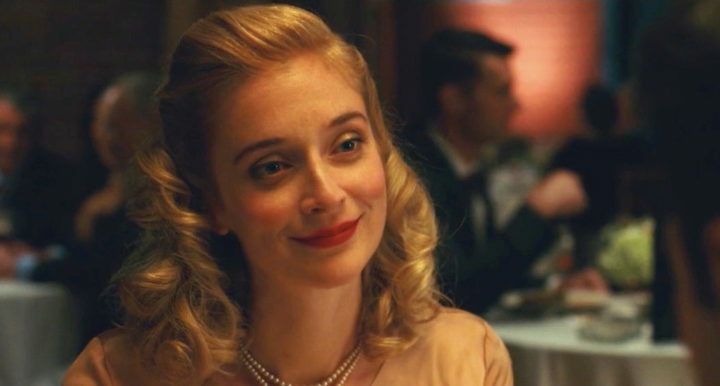 (And, at least in the case, works; THE MAN WHO KILLED HITLER AND THEN THE BIGFOOT was filmed in the Connecticut River Valley town of Turners Falls, Massachusetts). He began to attend UMass, Amherst, but early recognition of his talent, and demands for it, led him to become a professional in film before he had a chance to graduate. But now, with this film, Robert has earned the ultimate degree accomplishment in filmmaking: the graduation to Director. 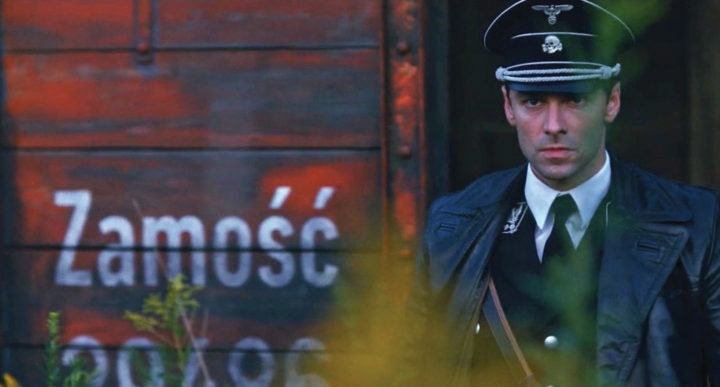 Aiden Turner as the young Calvin Barr in THE MAN WHO KILLED HITLER AND THEN THE BIGFOOT. So, what does the curious-sounding title mean? “It says so much, that it must be about something else. It can’t just be about that title! I thought that it was a clue to the audience that they could expect to discover another layer in this film. “The initial theme that got me writing this was, I wrote the opening ten pages kind of the way you would start a James Bond movie. At the end of those ten pages, the hero killed Hitler. And then I realized, well, I have nowhere to go from here. That’s about as big as the script can get! “But then I started thinking, well, Hitler was a monster; maybe (his killer) could go on to another monster. And who would that be? “I got to thinking about Bigfoot: this kind of mythic, American notion of this fantastic creature against a human monster, in Hitler. I went back to the beginning, and typed ‘The Man Who Killed Hitler and Then the Bigfoot.’ That became my mission, to kind of work my way towards justifying that title. And in doing that, discovering this really sweet, awful, melancholy character at the heart of this story, and exploring his life, and everything he’s been through. 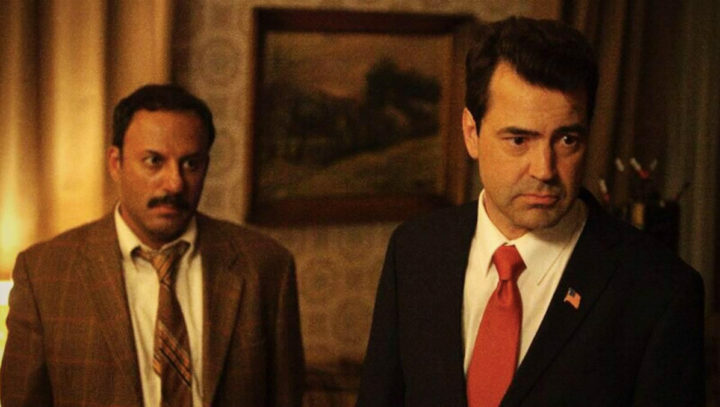 Still of Rizwan Manji and Ron Livingston on the set. A man who, if one can at least temporarily disbelieve the agreed-upon history that Adolf Hitler killed himself in his underground bunker, committed a supremely heroic act, but was and remains unknown to history. A hero who wasn’t merely forgotten, but was never recognized to begin with—until, of course, he was needed again. 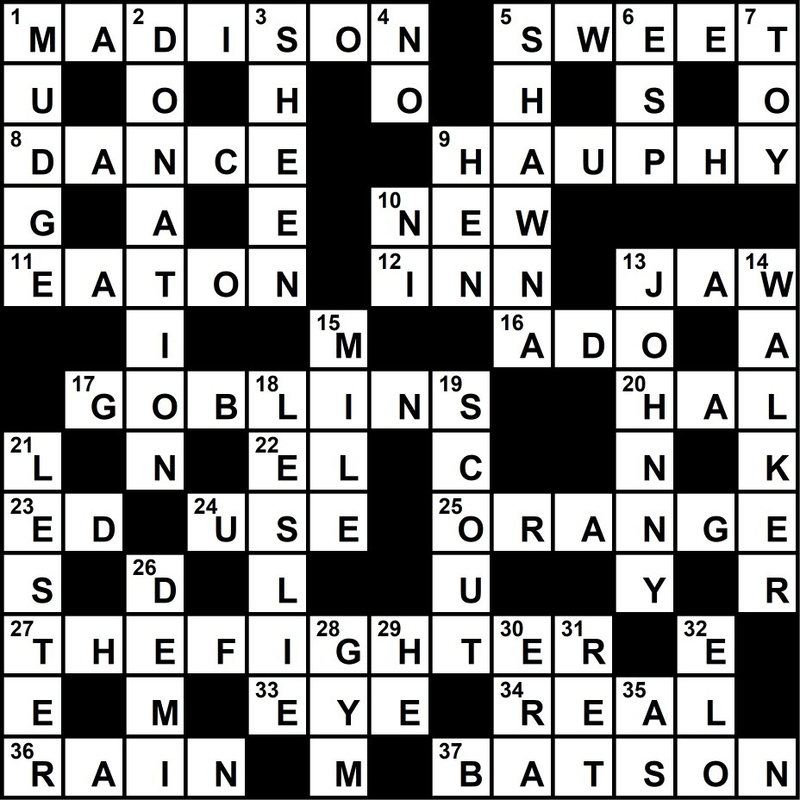 A character very much in the tradition of another movie genre. “He’s a classic, American mythic hero. Not unlike a Western (hero), or even a (character in a) Japanese samurai movie. A lonely, singular hero, tasked to do something that only he is capable of doing. And in doing that thing, it isolates him even further. There’s something very romantic about that kind of character. “The movie seeks to also break down and analyze that. Both in the way that we romanticize this type of hero, and try to make him all the more human in studying him. The film also employs a metaphor. “Hitler is spreading a plague of ideas throughout World War II. That plague reached a lot of people. And that plague in some ways continues today. And I thought, this other monster in the movie, the Bigfoot, he’s spreading a plague as well. He’s spreading a literal plague. The Bigfoot spreading a literal plague brings our hero back into the picture, to try to stop it. And so, Robert Krzykowski had his idea for a film. Now he had to make it a reality. This was no small task, particularly for a first-time director making an independent film. It wasn’t easy. “But, one of about twenty people would say ‘YES,’ and become part of the project. And usually those people were incredibly special. Sometimes, they were all-time heroes of mine. Those included John Sayles, Lucky McKee, Douglas Trumbull, Richard Yuricich and Sam Elliott. There was a realization that this was worth fighting for. It wasn’t going to be easy, but we were going to try to stick to the script and make the thing that we set out to make. “As I realized that this was going to happen, that this production was going to get underway in the summer of 2017, I felt an enormous amount of pressure. I felt very intimidated. I felt that no matter how much preparation I was doing, I could never be prepared enough. When it came time to cast the reluctant hero, Robert’s choice met his criteria. Sam Elliott had just finished work on what has turned out to be the most acclaimed film of 2018, A STAR IS BORN. Thus, for the second film in a row, he would be working for a first-time director. But unlike that film’s rookie director, Bradley Cooper, Sam Elliot would now be working for a director who wasn’t an established figure in contemporary film. Sam Elliott as the elder Calvin Barr in THE MAN WHO KILED HITLER AND THEN THE BIGFOOT. indistinguishable “celebrities,” you KNOW Sam Elliott. And in 2018, you are likely more aware of him than ever. Now in his mid-seventies, Sam’s career has never been hotter. A STAR IS BORN is no doubt one reason. But that he could go from a very Hollywood project like that to an indie like THE MAN WHO KILLED HITLER AND THEN THE BIGFOOT—with a first-time director, no less—says much about his versatility, integrity and fearlessness. Such being the case, he appears to have been a perfect choice to play the part of the film’s reluctant hero, Calvin Barr. “I certainly was taken in by the script at the very beginning, because what’s in the film is really all on the page. There was no way that I could NOT do this film. In terms of Calvin’s character, it spoke to me on many, many levels. “The whole thing that he was in the military. That speaks to me. The generation that he comes from speaks to me. Love lost, unrequited love, speaks to me. “This man who killed Hitler and then the Bigfoot. To me there’s such goodness in Calvin Barr. There’s not a lot of it in the movies today. We’re beset by all this murder and mayhem, in the real world and on film. There’s was something about Calvin’s goodness that spoke to me. 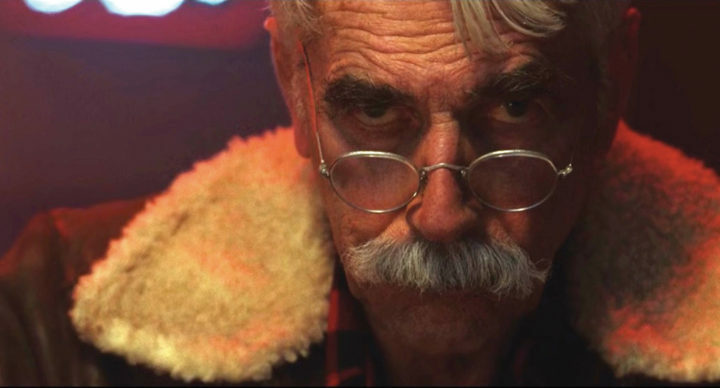 Like Robert Krzykowski, Sam Elliott sees something of the classic Western hero in Calvin Barr. The hero who saves the day, but neither gets nor wants the credit for his heroism. “It’s clear that when the FBI guys come, and he has the conversation at the dining table with them that this was never something that he banked on or looked for. Being in the military, it’s what came to him. He was one of those guys who just stepped up. There are a lot of those people out there today. They join the military, and they’re there to answer the call. people. He was never comfortable with that. I have no doubt that he killed numerous people, being in the war that he was in. I can’t imagine that it was just Hitler. “He lost the love of his life because he went off to war. He just didn’t bank on any of that. the first-time director became increasingly skilled at his craft. Trumbull. But after that, he just fell right into it. He was so specific. He knew what he wanted, and he knew how to go about getting it. 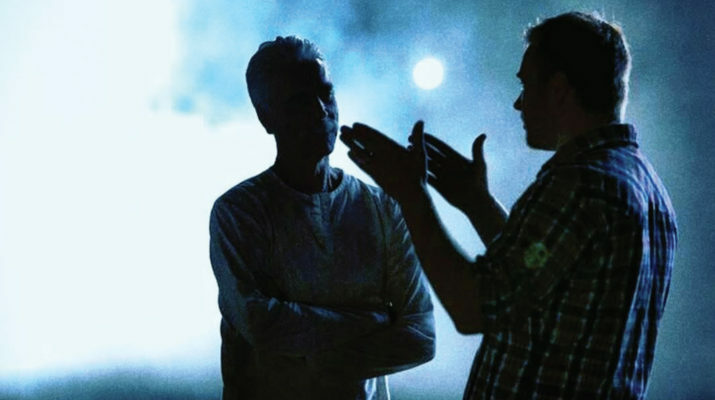 “When you have a director who’s open, and who wants to communicate, and has a vision, and knows how to bring all the creative forces to achieve that vision together, then that’s the ideal situation. By the time Sam Elliott had finished his work in both A STAR IS BORN and the Netflix TV series THE RANCH, his own situation was less than ideal. He was physically exhausted from his previous work, and wanted to rest. But Robert Krzykowski inspired Sam to take on the new project. And I pulled out of it. And he said, ‘it’s okay, I understand.’ We let it go. work out. He wrote what a great representative he was for me, and that someday, we’ll be able to do something together. It was a long letter and well composed. Robert is a brilliant writer and speaker. He is a really smart, smart man. Sam Elliott is also very thankful that this film was shot in Massachusetts. “For one, I was totally captivated by the countryside. I don’t know if I’ve ever been in more beautiful country, and I’ve seen some beautiful country. I’ve been in in a long time. And all those little towns! It’s mind-boggling to go through that country, and see all that breathtaking farmland and woodlands, and how beautiful it is. And this was in the spring and summer. It wasn’t in the fall, that everyone talks about. “And the people were just as incredible. They were so friendly, and so welcoming. IMAGINE is sponsoring, hosting and presenting THE MAN WHO KILLED HITLER AND THEN THE BIGFOOT at the Somerville Theatre on November 15th. Visit this page for tickets and all the details.